On this Thanksgiving Day, let’s look at how Americans compare with the rest of the world in wealth. If you have just $4,210 to your name, you’re better off than half of people around the globe. The total world population in 2018 is 7.7 billion. That means if you have $4,210, you have more money than 3.85 billion people. A net worth of $4,210 makes you richer than 50% of the people in the world. A net worth of $93,170 puts you in the top 10%, richer than 90% of people. A net worth of $871,320 puts you in the global top 1%, richer than 99% of the 7.7 billion in the world. 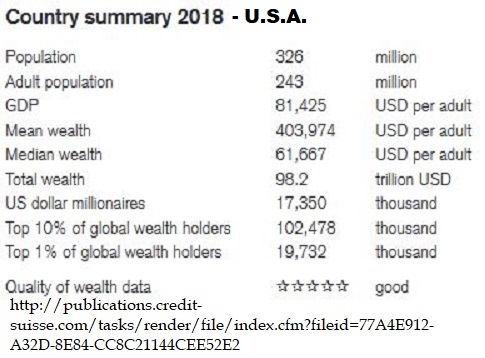 While the bottom half of adults collectively owns less than 1 percent of total wealth, the richest decile (top 10 percent of adults) owns 85 percent of global wealth, and the top percentile alone accounts for almost half of all household wealth (47 percent). 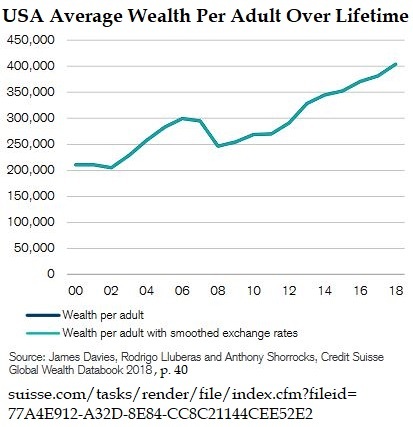 (1) The average wealth per adult over a lifetime in the U.S. is $403,974, while the median wealth per adult is $61,667, significantly more than the net worth required to be among the global 50%. (2) The U.S. has the most members of the world’s top 1%. 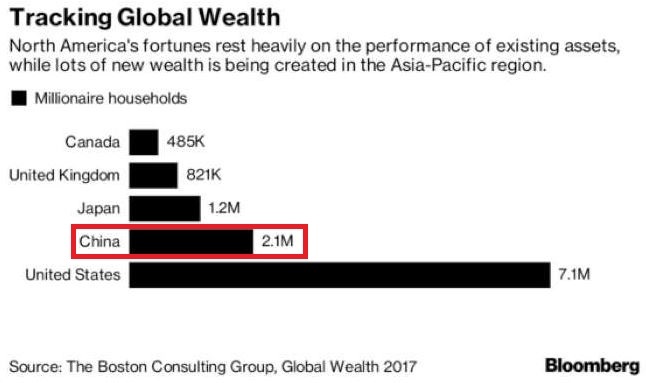 (3) The U.S. has 41% of the world’s millionaires and four times the number of individuals with more than $50 million, than the next country, China. But Andrew Cuomo, who has a net worth of $5 million, tells you not only is America not great, America has never been great.